Life Balance...it's what I do and who I am! A STRESSBUSTER... Life Balance is what she does and who she is! From associations to healthcare, from corporate to education - start the stress-less process now! 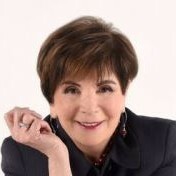 Like you, work/life balance expert and author Sharon Weinstein has worked long hours and ignored the stressors that affect our relationships, family, job, productivity, outputs, and health. Is balance within the reach of a select few, or are we all eligible for this gift? With over three decades of global healthcare experience, speaking, and most importantly, real-life, firsthand business experience, her view is extremely different. Sharon appreciates, and shares with her audiences, that balance is a lifestyle choice and not about the latest fads, ads, or promotions. Balance is for everyone, every day. It's how we should live our lives. Sharon, often referred to as a Stressbuster for her ability to identify stressors and solutions, is recognized globally for her ability to empower others to be all that they can be! She shares real-life stories and conversational techniques that immediately resonate with her audience. Life Balance is essential to focus, productivity, and job satisfaction. High-stress jobs in Healthcare, Hospitality, and Human Capital are especially vulnerable and yet receptive to interventions that enhance safety, satisfaction, and success. and Yourself: 4 strategies for work/life balance?